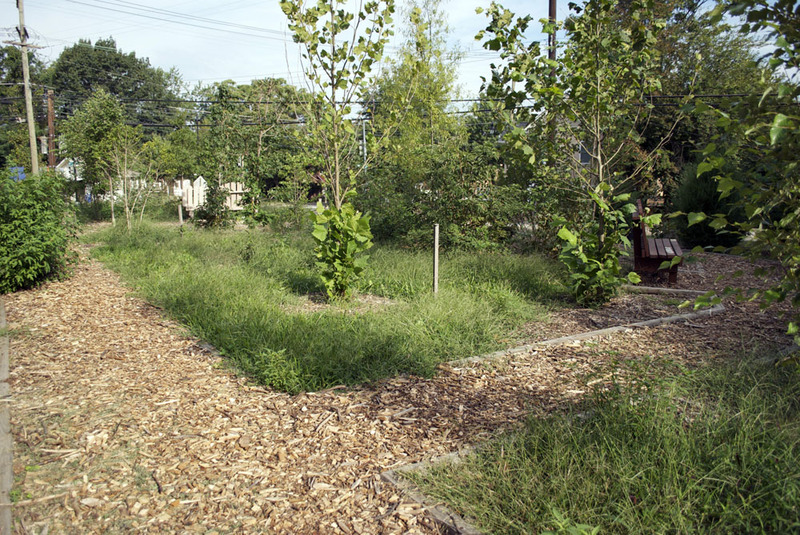 The Kimball Community Forest was in need of some weeding and mulching. 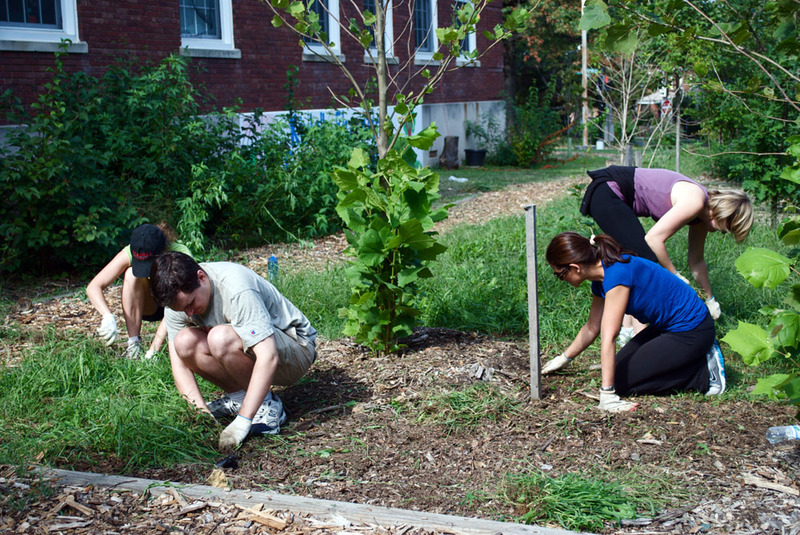 We may like our landscapes wild, but others do not always agree. 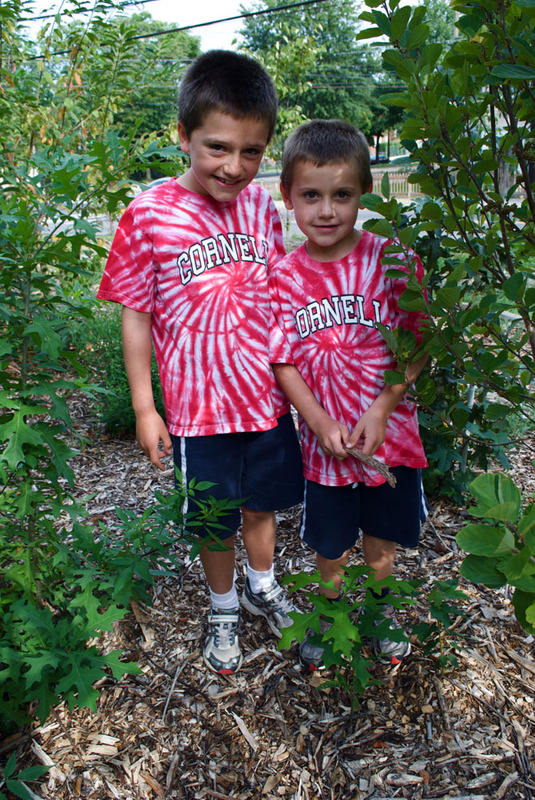 With our natives under threat of weed whacking, along came the Cornell Alumni to the rescue! 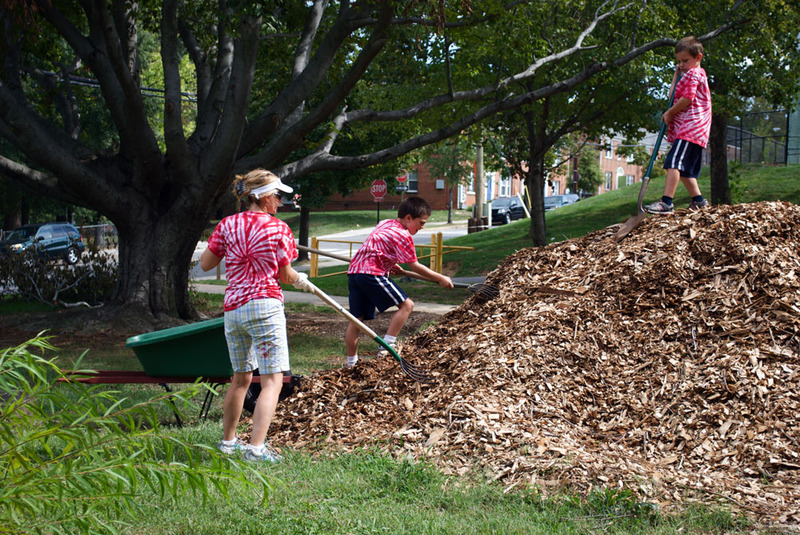 In partnership with Greater DC Cares, members of the Cornell alumni volunteer annually with Lands and Waters for one of their numerous community workdays. 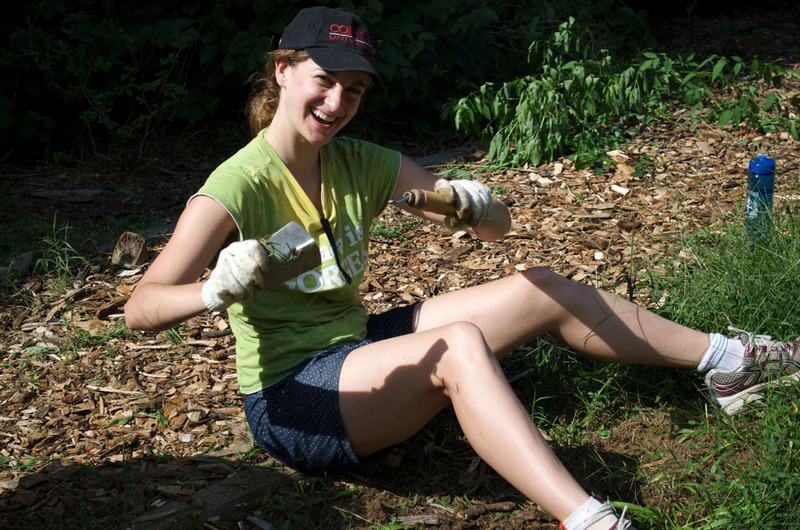 Cornell alumni and trip leader, Odette — working so hard she breaks our tools! 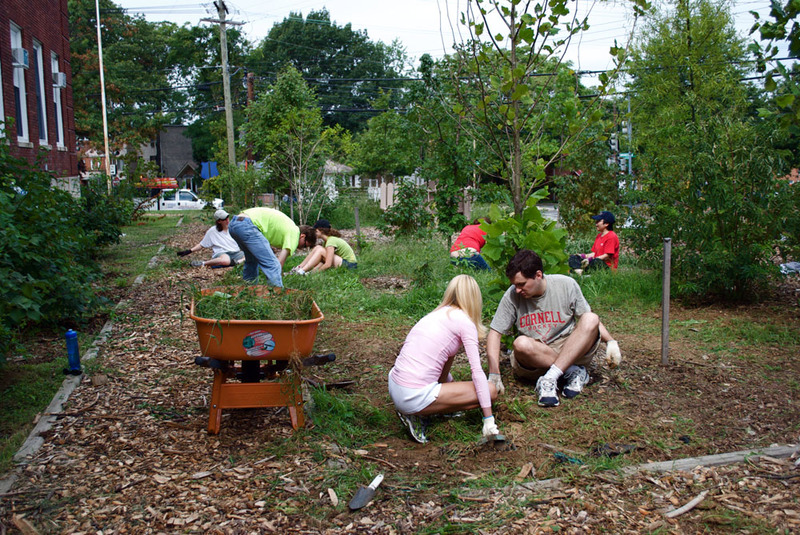 Veteran volunteers stand among the trees they planted last year.